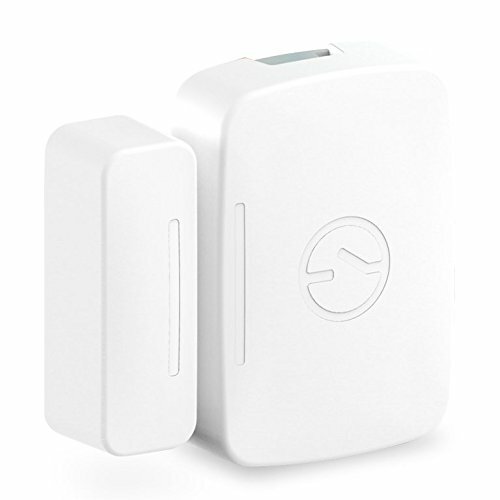 The most versatile device in the Samsung SmartThings family, this sleek ZigBee device acts as a movement, vibration, orientation and temperature sensor all in one. The SmartThings Multipurpose Sensor can detect whether an object like a door or drawer is open or closed; sense when valuable or off-limits items have been moved or tampered with; offer temperature readings; and feel vibration. It requires the SmartThings Hub. SmartThings offers a one-year limited warranty on this product. TROUBLESHOOTING STEPS: > If your device doesn’t connect after removing the “Remove to Pair” tab, hold the “Connect” button while inserting the battery. > Release the button when the LED is lit. > The LED will blink blue while attempting to connect. > Then select “Connect New Device” in the SmartThings app.NOTE: Check User Manual in Technical Specification before use. Communication Protocol: ZigBee. Refer to the Trouble Shooting Steps available below in product description.